I've gotten re-addicted to water drop photography. This is a second drop colliding on top of a first drop as it comes back up out of the water. 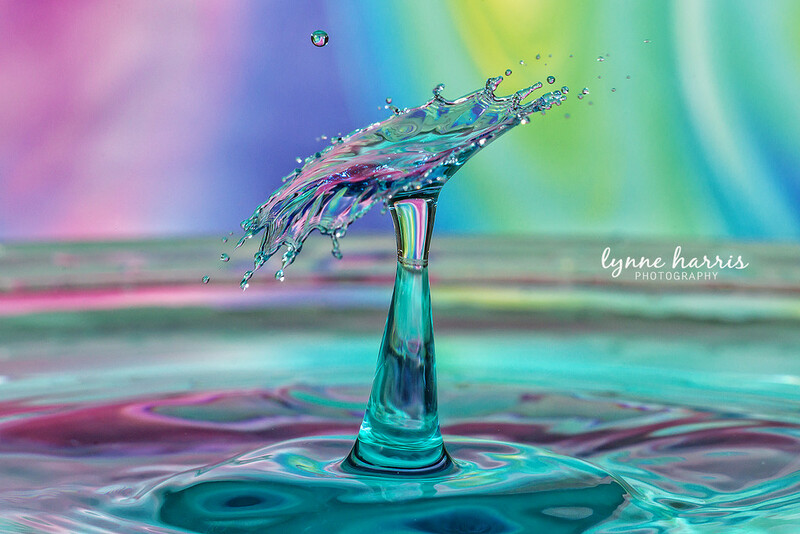 Lynne, you nailed it! It’s perfect and those colors are gorgeous! Brilliant shot with lovely pastel colours. I could stare at the shots all day and never get bored of them! Well done! Loving this series - are you using anything special to get the drops to collide? @vickifehl I actually have the MIOPS Water Drop Kit where you set the size and drop and time between drops. You never get 2 the same and you might get a few in a row and then nothing for the next 20 or so. it's hit and miss. @lynne5477 I’ve been looking at the different kits, and wasn’t sure what to get. This seems like a good option. Thanks! !